Ever since Suicide Squad started production in Toronto back in April, several supporting characters have been confirmed, while others still remain a mystery. Two of the actors whose characters have yet to be revealed are Common and Scott Eastwood, but today we have a new rumor from Heroic Hollywood that claims to uncovers their true identities. There will be potential SPOILERS for Suicide Squad below, so read on at your own risk. Last week, photos from the set showed Common sporting a number of intricate tattoos, which lead to speculation that he is playing the DC Comics character Abel Tarrant, a.k.a. The Tattooed Man. This new report confirms that the actor/musician is playing The Tattooed Man, but we still don't know how significant his role is in this jam-packed superhero movie. As for Scott Eastwood, an insider reportedly saw the name featured on the actor's costume, which reads "S. Wilson," meaning he is actually playing Slade Wilson, a.k.a. Deathstroke. All that was known about Scott Eastwood's role previously was that he was playing a soldier, and that his role was being highly guarded by Warner Bros. This report claims that Slade Wilson will not transform into Deathstroke until the third act of the movie, with his full transformation in place by the end. The actor also signed a multi-picture deal with Warner Bros., so we will likely see him pop up in future DC Comics movies, although it isn't known what other movies he's being eyed for. 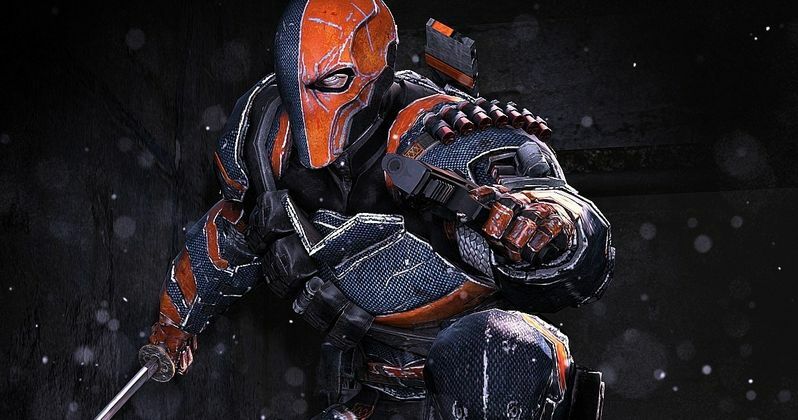 There have been rumors about Deathstroke's involvement in Suicide Squad for several months, with a report from March claiming that Joe Manganiello was in talks to take on the role. While he never joined the cast, Scott Eastwood signed on just a few weeks later, but his role was never revealed. The actor was previously rumored to be playing Steve Trevor, the love interest of Wonder Woman, which lead to rumors that the character may cross over into the stand alone Wonder Woman movie starring Gal Gadot. However, that story was debunked when Chris Pine entered negotiations to play Steve Trevor in Wonder Woman last month. What do you think about Common playing The Tattooed Man and Scott Eastwood playing Deathstroke in Suicide Squad?